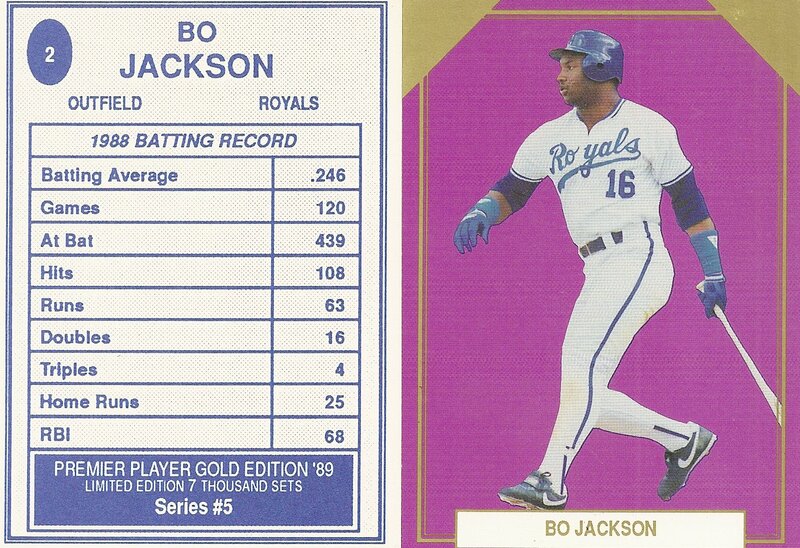 This 11 card unlicensed set is regular card size, measuring 2 1/2 x 3 1/2. 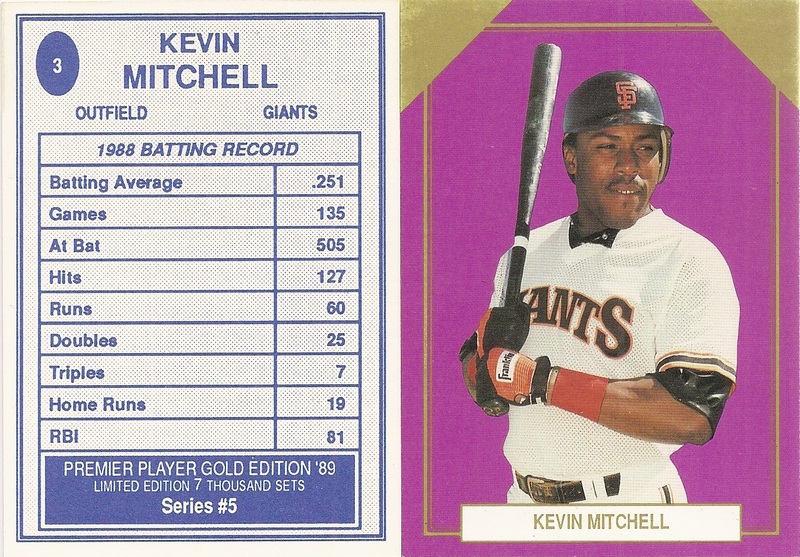 the front has no border with a purple background, gold corners and the player name on the front. 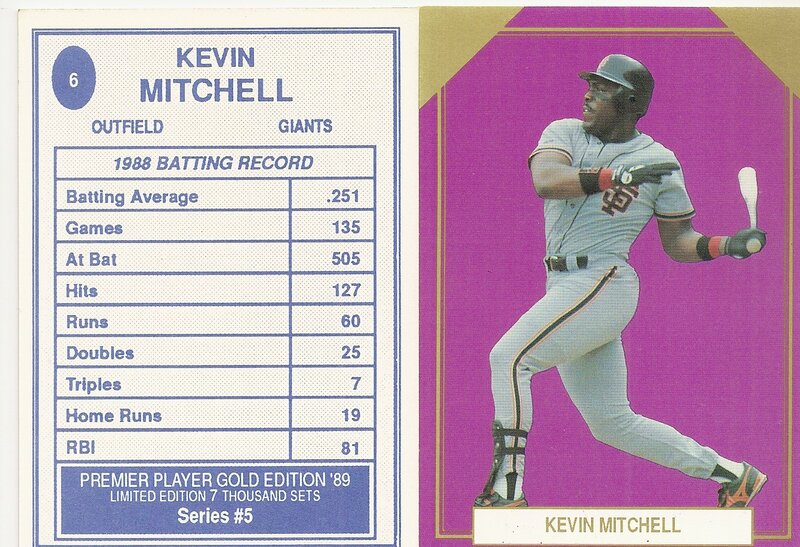 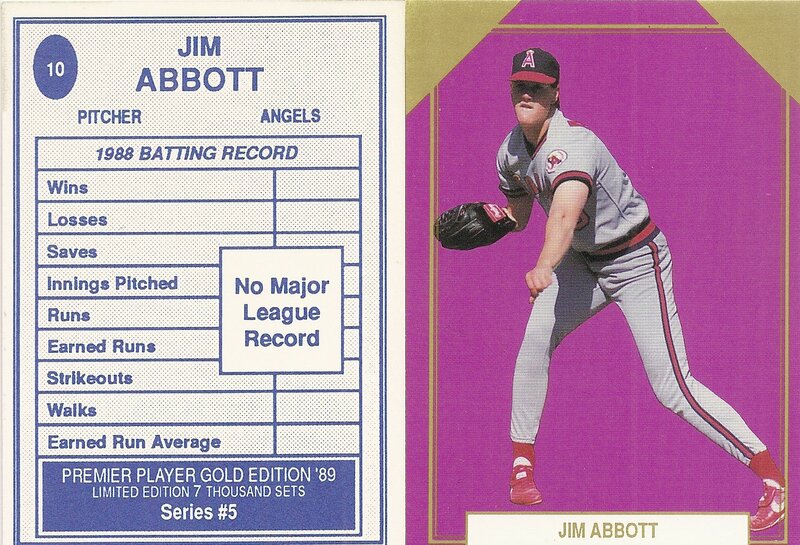 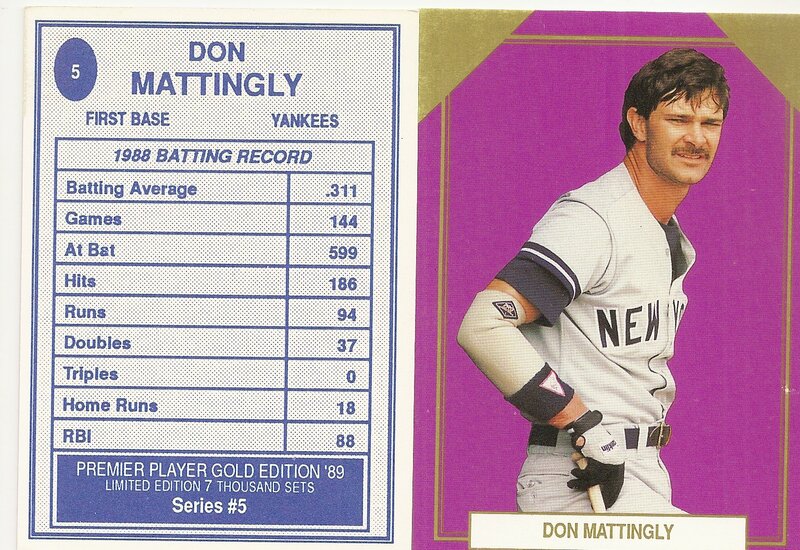 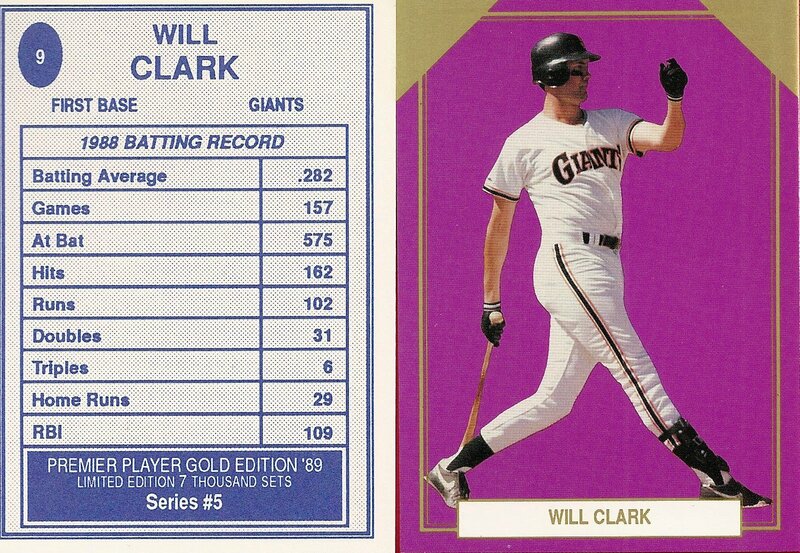 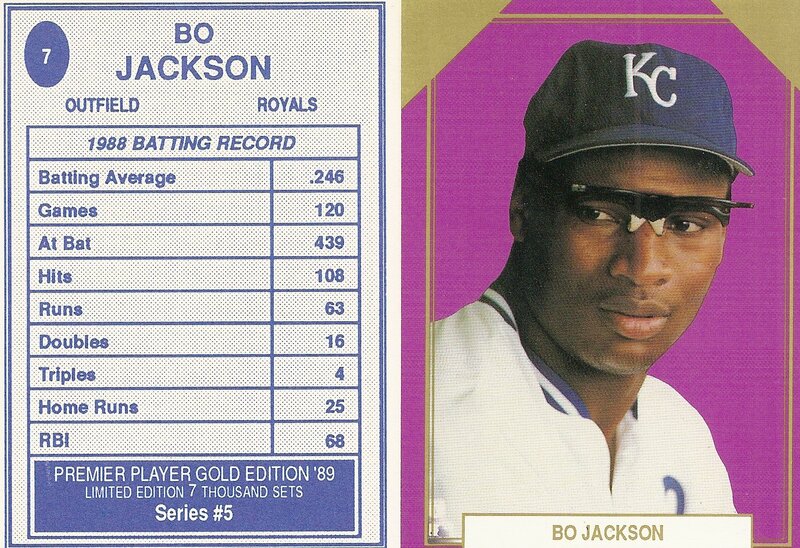 The back of the card has the player name, team, and position along with stats, the set name, the series number, and the card number. 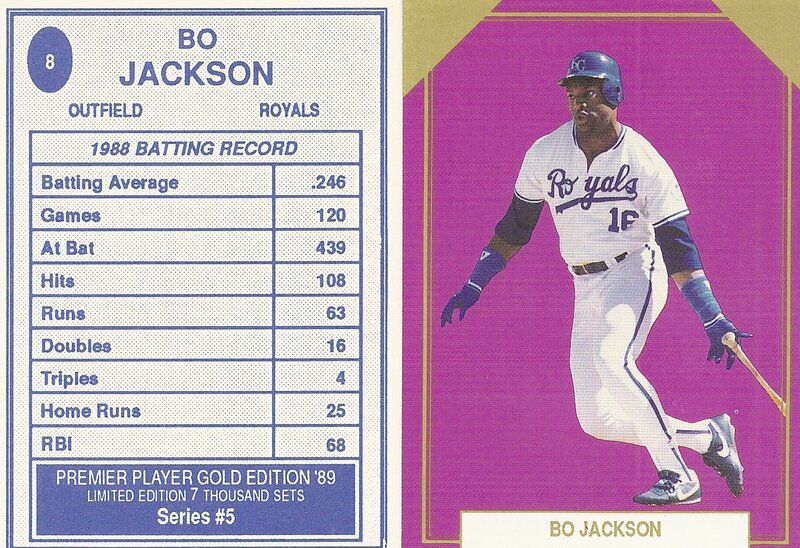 This edition was limited 7000 sets.